Sometimes I get so hung up on all the wonderful places that we have traveled to, and those on our bucket list, that I forget to appreciate my own backyard. Well not just my own backyard, which is quite amazing in and of itself, but more the area around me. This is our busy time of year, with Airbnb guests and swim lessons, but it is also a beautiful time to be in the Charleston area. Recently we took some time to try a few new places, and here is what we found. North of us is an incredibly quaint fishing village of McClellanville. It dates back to the 1800s and is just now starting to really develop. It still has that small town feel mixing gorgeous old trees, the marsh and old homes that scream southern charm. We wandered there to check out a sandwich shop, Boat and Hoagies, that our friend Ellie Ede has. Well worth the drive, the sandwiches were great and they were close to the small park on the water where we decided to enjoy our picnic. If we were closer this would be a regular stop for us! They also offer meals for 4 that you can order ahead and pick up on Wednesdays. If you are in the area stop by, grab a sandwich and say hi to Ellie for us. My dad loved East Carolina BBQ and he passed that love on to me. He was always searching for the best hole-in-the-wall and would share his finds with me when I visited. This started when he was head of the computer department at the college I attended in NC and continued until he passed away. I will continue the tradition, though I may have found the best right here in our backyard. Rodney Scott BBQ opened in Charleston a couple of years ago after a long tradition in rural Kingstree. While staying true to his roots, Rodney has kicked it up a notch by winning the 2018 “Best Chef Southeast” from the James Beard Foundation. We recently went and shared the combo platter with two sides which came with ribs, chicken and the best pulled pork! Dine in or take out, but don’t miss out on this true southern delicacy. Heading south of Charleston we recently did a day trip to visit family on Lady’s Island, Beaufort, SC. We stopped for lunch at a place we had not visited in years but remembered fondly, the Shrimp Shack on St Helena’s Island. It did not disappoint; the shrimp burgers were just as delicious as I remembered. 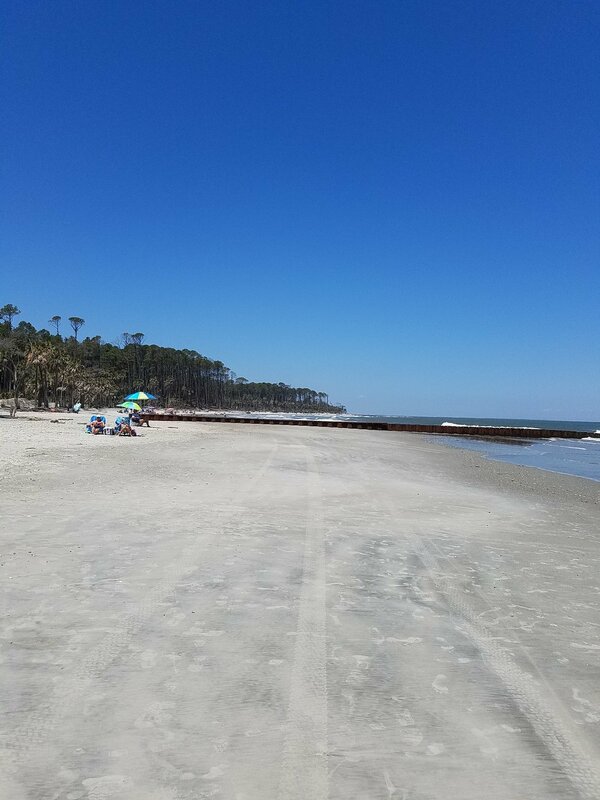 If you are looking for a great day trip I recommend stopping here for lunch and heading to Hunting Island State Park for a great walk on the beach . This island was recently hit by two hurricanes and much damage was done but it still holds a lot of beauty and is well worth the trip.